Design is something that, like anything personal, has its peaks and valleys. Finding what appeals to you can be tricky so unless you have a passion for interior design and all things HGTV, you probably haven’t put much thought into the rugs in your home and whether or not there’s a story behind the design. That’s where Jaipur Living comes in. A family-owned business based in the small town of Acworth, Georgia, they are paving the way to change how consumers view the rug and textile industry. 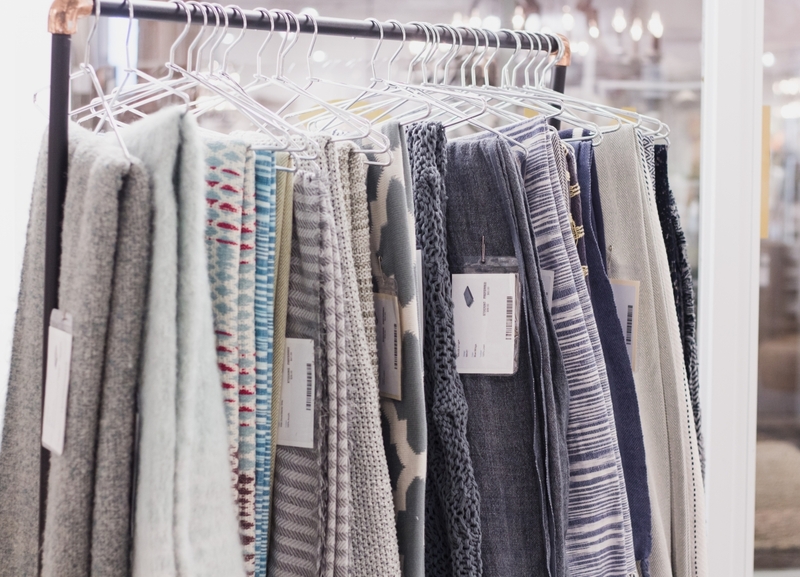 Immediately as I walked into the JL show room, I couldn’t help but feel like I was in neutral-lovers heaven, but don’t get me wrong, there are definitely pieces for the appreciators of color and those in between. There were furs, shag, minimalistic designs, and prints for the more eccentric, and yet everything seemed to flow together. I got the chance to speak with Sasha Wallace, PR & Communications specialist at Jaipur Living about their new collections and what the brand stands for. The concept of indoor-outdoor rugs and décor is rapidly growing in this industry and JL has wasted no time in making their mark on the new trend. What’s special about the new indoor-outdoor collection at JL is that you get to have that great conversation piece, less cleaning commitment, and it’s also soft to the touch, unlike your typical outdoor rug. What we did with our new collection is we wanted to make sure they were fun and that they were an extension of your home. From the bright patterns to the intricate yet simplistic braiding, there is a piece in these collections to fit any style. I also got to check out the new collection from Nikki Chu, Decora, who is new to the indoor-outdoor world. In this new collection, Chu plays with colors and different dimensions, like high-low patterns. Wallace mentions that this collection is very unisex, so for couples who are co-habitating this is the perfect gift to get because of its universal appeal. If you look closely, you can appreciate how Chu really plays with the details and direction of the stitching. A huge part of this showing and what I was most excited for is the introduction of eco-friendly pieces, like the Naturals Tobago collection and new collection, Roland. With the Roland collection, the pieces are 30% Jute and 70% P.E.T, which is made of recycled bottles (cool right?). So you have the natural element from the Jute, but the P.E.T. makes it soft to the touch so either way you still have an eco-friendly rug, just much softer. When crafting these pieces, JL wanted to make sure that customers wouldn’t have to sacrifice comfort for style. The Meridian collection is 100% polypropylene but looks like Jute, so it looks like a natural rug but it mimics wool. Even though it’s neither, you still get that look if that’s the look and feel you’re going for. Usually with Jute rugs you get the color as is. What’s interesting about the Naturals Tobago collection is that they’re 100% Jute, but you have the option of a few dyed pieces as well. One of which is a beautiful teal for those who love bright colors and want that bold conversation piece, and there’s also a bleached piece that is just as beautiful but more minimalistic and modern. Overall this collection is pristine and minimalist, mostly neutral colors, but there’s something about the details that draw you in closer. What’s cool about Artisan Row is that if someone were to make you a hand-knotted rug, there will be a note about the person that made it, what they did, and a lot of personal touches. If you’re looking for design with a story behind it, JL’s Artisan Row program will give you that and then some. These hand-knotted rugs are usually made in the homes of various women in Jaipur, India. So not only do you get this beautifully intricate rug, but you also get to share a part of someone’s else home and culture that are halfway across the world. The Kavi collection, an award-winning collection I might add, was created by Kavi Gaya, one of the daughters of JL’s founder. The reason why this collection has gained so much attention is because Gaya lets the artisans have their way. One particular rug at the showing was a collaboration between three different artisans. Immediately when looking at the rug, you can see they each had different ideas that they wove together towards the top of the rug but gradually came together as they finished. The dissonance of the pattern shows the story behind the rug and the personalities of each artisan. Even though it was a complete mistake, that rug is one of the collection’s best sellers. One vision, two looms, and an impressive journey. The company you know today as Jaipur Living, Inc. started with the vision of N.K Chaudhary (the founder) connecting people around the world with the talents of the artisans that surrounded him in India. Through the coming years two looms would turn to twenty, then two hundred and beyond due to the attention gained from the artistry and quality Jaipur has become synonymous with today. Resting on sustainability and a vertically integrated business model, Jaipur has grown to one of the world’s leading rug manufacturers. Overseeing every step in the supply chain from product conception, design, production and customer delivery, the Jaipur business model offers consistencies in quality and cost. Today the company headquartered in Atlanta, GA is under the leadership of Asha Chaudhary (the eldest daughter) who’s modern touch expanded the company’s offerings to include flatweaves, naturals, transitional and modern collections. Design is a passion for Jaipur from its very core and spills out in bold colors, distinctive styles and fashion-forward trending. Jaipur is able to offer the best in competitive pricing in today’s market by maintaining consistencies in its vertically integrated business model.